Jordan here, welcoming you to a brand-new feature here on The Joy of Geek. With my recent move out of North Carolina, podcast listeners know that I’m no longer able to regularly appear on episodes with Rich and Kevin. However, they frequently cover topics that would just as easily make for articles on the site. So, I figured, why not do exactly that. And so, Third Host was born, a feature where I’ll take the time to cover whatever topic Rich and Kevin get around to discussing in the latest episode – assuming I have anything to add. Fortunately, their focus on streaming shows had a lot of options, meaning there are plenty of great choices their Top 5 lists never even touched; in fact, not one of my shows appeared on either of their lists. And since I was also finding all my streaming favorites to come from Netflix, I figured I’d just call it what it is. 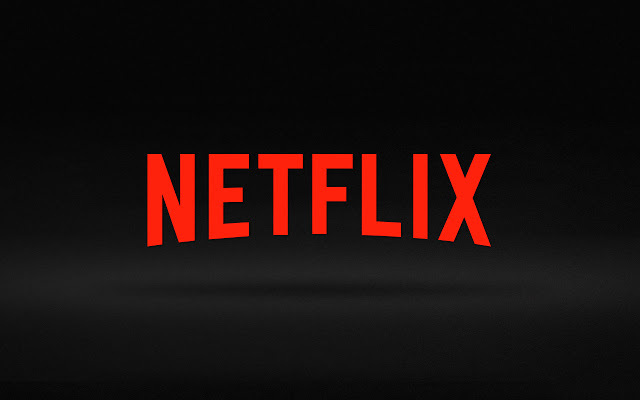 So, look below for my Top 5 Favorite Netflix Originals! The first of two revivals on my list – the other is not Fuller House, I promise – Mystery Science Theater 3000 made a strong return earlier this year, boasting the behind-the-scenes talent of the original creator and a talented new set of performers. 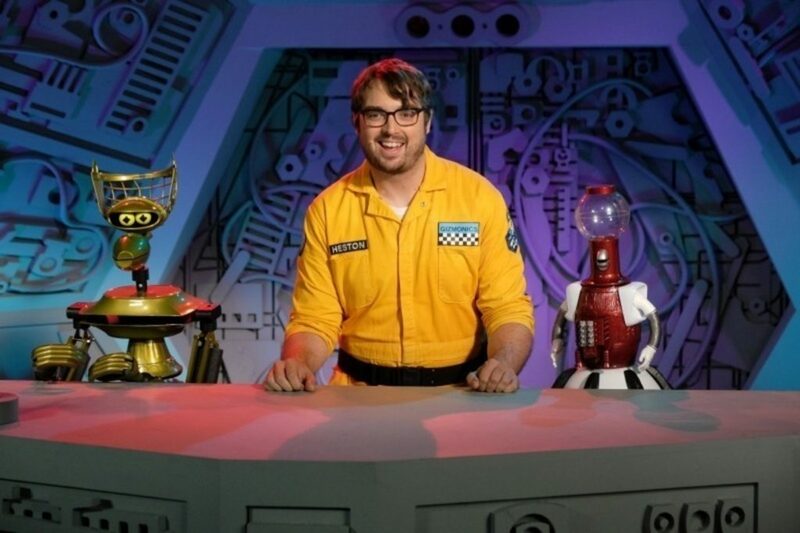 Yes, the show’s pacing and style feel slightly different with new host Jonah Rey, but like the switch from Joel to Mike in the original series, the inherent spirit of what makes MST3K its beautiful, low-budget self is present. The show remained true to the old school in all the ways that matter most, from a focus on low-budget movies from the 70s and 80s to Invention Exchanges and host segments bursting with creativity. And while the faster pace of the jokes has been a sticking point for some, I’ve appreciated the rapid delivery of punchlines, even when it can get a bit crowded. I’m hopeful Netflix gives this version of the show a chance to iron out some of the kinks and come back for a second season. 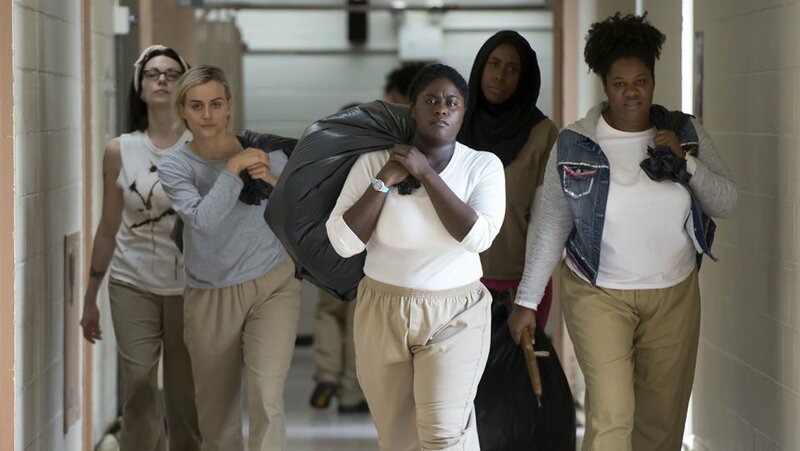 One of Netflix’s earliest originals, Orange is the New Black still stands among its best, thanks to a diverse, ever-expanding cast, entertaining writing, and storytelling that blends comedy and drama with a mostly deft hand. The show has evolved from focusing on a single woman’s prison experience to a large, complex ensemble cast telling numerous stories while presenting a multifaceted critique of the American prison system. The show doesn’t always succeed: the third season is a bit too goofy, and a major death at the end of the fourth season plays out in a way that muddles the show’s own message a bit. But it remains constantly ambitious in the types of stories it wants to tell, allowing itself to play with both expectations and structure, such as in the most recent season taking place entirely over the course of a short three-day period. It’s an all-around entertaining show with one of the best ensembles on television, and one that remains enthralling five seasons in. If I ever get around to writing a “Top 10 Favorite Films” list, you can be sure that Wet Hot American Summer would have a spot. The goofy, episodic film tells countless entertaining stories full of dumb jokes and memorable moments. Like a lot of people who caught it in its numerous cable appearances throughout the 2000s, I fell in love with it over dozens of viewings, and it’s one of my favorite cult classics. So, I had reason to be concerned about the revival when it was announced at Netflix. However, with the return of just about everyone from the original cast – including several who are now Hollywood superstars – and the solid track record of creators David Wain and Michael Showalter, there was little to be concerned about: First Day of Camp delivers exactly the prequel one could want, ramping up the ludicrous jokes, clever callbacks (callforwards? ), and inherent insanity of the Camp Firewood world. It’s just exciting to revisit this world and see the characters – now played by hilariously older actors – before the events of the movie. And the addition of new characters, such as younger campers, new counselors, and those dastardly kids from Camp Tigerclaw, breathe a lot of new life into the proceedings. It also strikes the exact right balance of expansion and reverence to the original, which recent sequel series Ten Years Later doesn’t quite manage (though it’s still quite good). It’s overall a hugely successful revival that any camper would be lucky to spend a rained-out day with. With the notable exception of Iron Fist, I’ve found almost every season of Netflix’s many Marvel shows to be more good than bad. 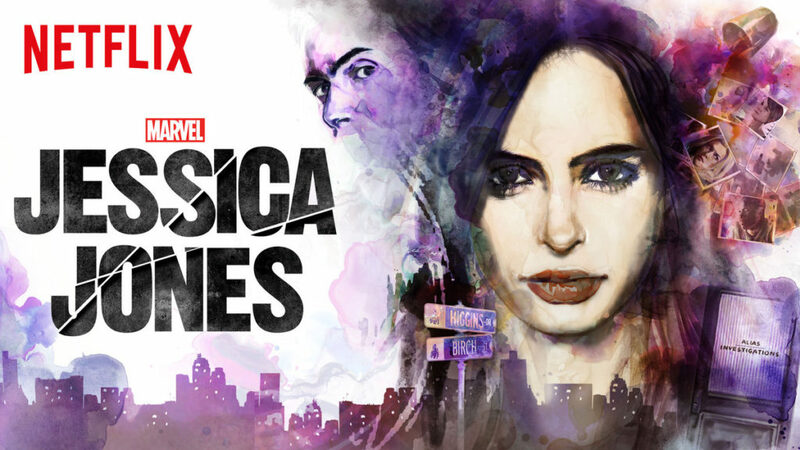 For my money, the far and away best show is Jessica Jones. While Daredevil and Luke Cage – and yeah, sure, Iron Fist, too – dealt with standard “hero vs. evil organization” plots, Jessica’s story is far more personal. The show skillfully deals with themes of guilt, gender dynamics, and sexual abuse, and does a wonderful job of further diversifying the Marvel Cinematic Universe – something the TV shows have been far better about than the movies. It’s all anchored by strong performances across the board, with Krysten Ritter rightfully standing strongest in the title role. My initial reaction to BoJack Horseman was the same one I’m sure was shared by a lot of people that saw the trailer: Uh… what was that? And for the first few episodes, that reaction was reinforced, with plenty of bizarre humor, seemingly random storylines, and an overabundance of animal puns. However, by about the halfway point of the first season, it became clear that BoJack Horseman was playing the long game, painting one of the most complex, in-depth portraits of depression, job dissatisfaction, and general misery on television. BoJack is a character desperate to be happy and fulfilled, but he only ever gets in his own way. He’s unwilling to see his own flaws, and even when he does, he remains convinced a new big project or recognition from his Hollywood peers will fill the void in his life. Over the three seasons released so far, BoJack has fallen fast and far, and it remains fascinating to see what turn the character will take next. Which makes it even more impressive just how amazingly funny the show is. The show boasts one of the most entertaining cast of characters around, and the social commentary in many episodes is as gut-busting as it is reflective and well-developed. This is a smart, funny show in all the best possible ways, mixing highbrow humor with juvenile jokes effortlessly. 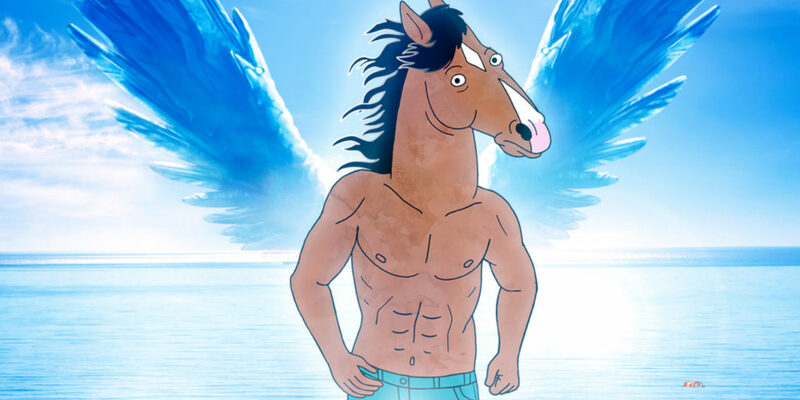 And there’s perhaps no better sign of how impactful this show has been than to note that BoJack is now the definitive Will Arnett role for me, beating out Gob Bluth from Arrested Development. With the fourth season right around the corner, I can’t wait to see what Netflix’s best show has in store for its damaged characters next. Tags: BoJack Horseman, Features, Jessica Jones, Lists, Mystery Science Theater 3000, Netflix, Orange is the New Black, Third Host, TV Shows, Wet Hot American Summer. Bookmark the permalink.